ENG: SHOPBOP is currently having the biggest sale of the year: get 25% discount with code INTHEFAM! My eye cought ulstra trendy jeans, comfy and chic shoes for office , classy black bag (must-have!) and few rings. Also thinking about summer vocation and maybe will purchase some colorful sandals. Happy shopping and thanks for stopping by! RU: На любимом SHOPBOP самая грандиозная распродажа года: при покупке товаров можно получить скидку 25% с кодом INTHEFAM. Мне понравились самые модные джинсы, пару сандалий на лето (что бы можно было и на пляж и в офис), пару колечек и классическая черная сумка (давно ищу себе новый вариант). Приятного шоппинга и отличного вам вечера! Веселенькая весенняя подборка! Колечки волшебные! Спасибо за подборку! Удачного дня! Целую! IskiUski is an online jewellery store that houses high quality jewellery and accessories or diamond cross pendants. 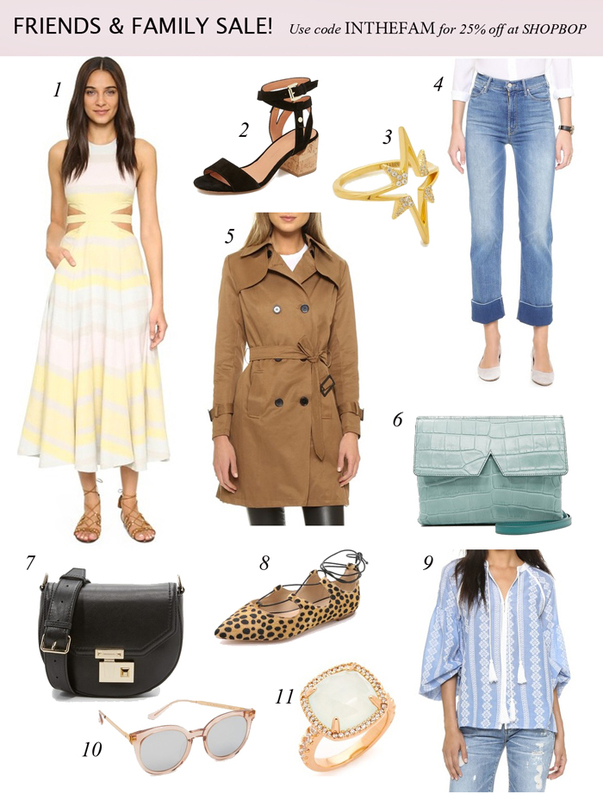 I always prefer to shop from ShopBop and i always found there my desired things at affordable price value. thanks for sharing your views and i really appreciate your effort. cupshe fashion store is also an ideal store for many people. You should once visit there. More than 300 gambling games. บาคาร่า It is a website that is open to the game of luck through the Internet. We have the highest standards and convenience in Thailand. With over 9 years of experience, our reputation for online casino gambling is spread throughout Asia. In the department of service. Playing Live betting For all players. The game has a variety of games. And there are many rooms to choose from. By the way, our risky website offers attractive ladies. Stay in real time. We are very grateful to all players. Great, we've put together a great promotion for new teammates. Just sign up to join us and then top up to 500 baht minimum. Get it immediately. Dividend 300 baht unsupported. It has to be a good thing to be here on this article and i was taking a look on this info and then i have got many things from this article.You have great ideas to share something fresh here on this info.You did such a great job.